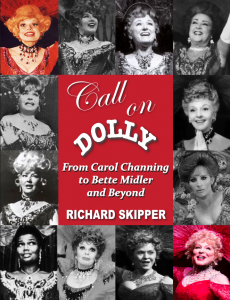 Anne Russell’s foray into the world of Hello, Dolly! began in 1965 when she was hired as the standby for Mary Martin. Prior to that, Anne was in Flora, The Red Menace. When they show closed, she auditioned for Gower Champion. She joined the company that was already in Cleveland. Bob Avian taught her the choreography. Jack Craig was also one of her dance captains. She then travelled by train to Portland, Oregon. Being that it was a long trip, Anne utilized that trip to study her script and rehearse with the stage manager. After that, it was on to Tokyo. They were there for six weeks before going to Vietnam. There, she formed a little group called the “Rice Pattie Seven” with Marilynn Lovell (Irene Molloy). She passed away recently. A group of seven performers, they would entertain at the hospitals. They did the same as the troupe traveled to Okinawa and Korea. Anne says Mary Martin was wonderful but she NEVER got to go on for her. Anne admired her greatly and learned a lot from her. When the principals went on London, Anne came back to the states, Tennessee, and joined the Betty Grable company, as Betty’s standby. This tour lasted several months and Anne also loved being with Betty. Anne tells me that BOTH these women were just wonderful. They were very good to Anne. Anne went on many times for Betty. When they were at the Riviera, doing a one hundred minute version of the show, there were fourteen shows a week! The first time at The Riviera, that Anne went on, Ed Sullivan was in the audience. She had done his show doing excerpts from her act, so they were not strangers. She ended up getting a nice write-up which was very helpful. After that run, Anne went on to standby for Ginger Rogers in that road company and was lucky to go on for her at the Dorothy Chandler Pavilion in Los Angeles. Eventually, Anne played her own circuit playing Ogunquit and the Cape and various summer stock companies. 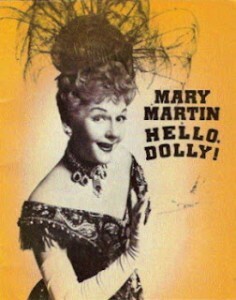 All in all, Anne did ten companies of Hello, Dolly! Three she was standby for, the others she led. One of those companies was on the SS Norway. This was in 1979 and Anne did it for one year. She then took off six months and then went back and did six more months. It travelled from Germany to Norway. There were many dignitaries always on this ship. It would sail on to South Hampton, New York, and then on to Miami, before travelling to Germany and Norway. A year and a half of Dolly on the high seas! Anne had a lot of success with Dolly! that included wonderful reviews and companies. There is an underlying theme that I hear over and over from those that I’ve interviewed and that is that these companies become a family…with ALL that that entails. Anne says she doesn’t feel that she ever had an unhappy experience playing Dolly…EVER! I asked if Anne has ever seen anyone else do the role. She saw Ethel Merman’s Dolly. She attended that performance with Bibi Osterwald. Bibi would nudge Anne during the show and say, “This is the new song Jerry put in for Ethel!” She said they had the best time watching Ethel Merman. “Ethel’s take was interesting and I enjoyed it a lot.” She also saw Pearl Bailey and enjoyed it immensely. “What’s not to like about Hello, Dolly! ?” Anne was asked to coach both Dorothy Lamour and Martha Raye in their portrayals of Dolly. Since she wasn’t working at the time, she said, “Of course!” She had known Martha for years and Dorothy was the greatest lady. She had trouble focusing during the coaching sessions. In the middle of a scene she would say to Anne, “Have you ever done the Merv Griffin show? Let me call him!” and she would stop the show and call Merv on Anne’s behalf. When Anne stood by for Mary Martin, Loring Smith was her Horace (although she never went on). She did play opposite Max Showalter as Horace a few times. She adored him. She said he was the nicest, kindest, most generous man ever. Just excellent to play opposite him. She was lucky enough to play opposite David Burns at The Dorothy Chandler Pavilion. Being the original, he was wonderful. Anne would arrive at the theater early. She remembers one night passing his dressing room prior to the show. He was reading the script. Something he did EVERY NIGHT prior to the show no matter how many times he had done it. One of Anne’s favorite moments, she still gets sentimental talking about it, was after the first night she went on for Ginger in Los Angeles. The cast gave her a long sustained ovation. 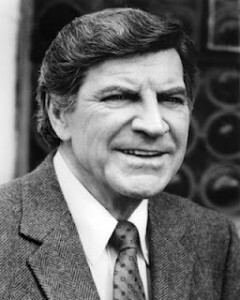 Lucia Victor had given her a note to think of Dolly as like Robert Preston in The Music Manfor pacing. Anne had that in mind and their were no lags that first time. Subsequent performances, she was able to find the nuances. Anne loved Lucia a lot. Of course, she used Gower’s guidelines. Once the show was up and running, it pretty much “froze”. Anne feels that when you play the show as it was created to be performed, you cannot improve upon that too much. She adds that she has seen several shows recently that have enjoyed long runs and she has seen actors adding a bit here or there. She doesn’t feel that is helpful. She feels that Lucia’s greatest strength was sticking to Gower’s intent. So did Bob Avian and Jack Craig. Jerry Herman is a darling man. Anne did many productions of Dolly! 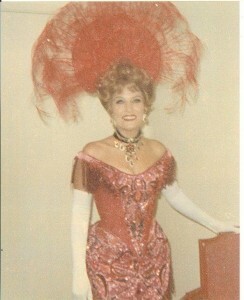 and Mame throughout her career. She also did one production of La Cage. She says that most of her career was Jerry Herman. One of the most iconic scenes in Dolly is the eating scene. Anne tells me that this was obtained by dying cotton candy with a brown sugar. Double sugar! She actually liked it because she has a sweet tooth. The one thing that Anne took away from Dolly that she has taken through her entire career is discipline. I asked Anne what she considers the greatest change in this business since playing Dolly the first time. She mentions that she recently saw The Tony award winning Nice Work If You Can Get It recently. It reminded her of the older shows. Great dancing ,great singing, great costumes, great scenery…just fun. She loves the collaborative efforts both on and off stage to get to that point. Big shows with big scores are just what she loves. I asked Anne what she did during her downtime on a long run. She tells me that she never has been an early riser. You get into a disciplined routine. 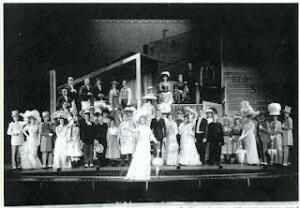 After some shows, Jack Craig, Lucia Victor, and Anne would play Bridge. I asked about her memories of the very last time she appeared on stage. Her response is that you NEVER think it is your last time. 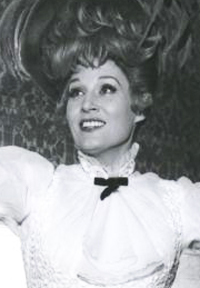 So, here’s hoping there is yet another performance for Anne Russell as Dolly Levi! I would like to thank Jim Brochu for making this connection and interview with Anne possible.